Buildings are important spaces in our lives. They are places where we work, learn, live and rest and they affect our health and wellbeing. However, buildings also have a direct impact on our environment. According to the U.S. Energy Information Association (EIA), buildings consume almost 40% of the total U.S. energy consumption and generate 30% of greenhouse gas emissions. To combat the enormous drain on our resources, buildings are being designed to be more sustainable, eco-friendly and smarter. This brings many environmental and economic benefits to our environment, such as 25% less energy usage and a 20% drop in maintenance costs. However, green buildings have human benefits as well, including people’s wellbeing, satisfaction, engagement and productivity. 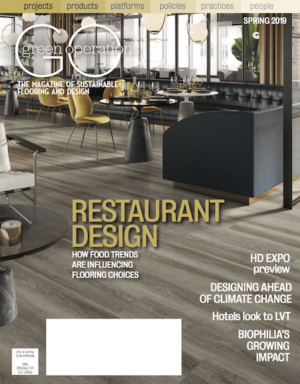 Research shows that green buildings play a role in boosting our indoor environments and, in turn, creating higher satisfaction, enhanced wellbeing and increased productivity for people. These psychological benefits improve our livelihoods, leading to happier and more profitable businesses on top of environmental action. 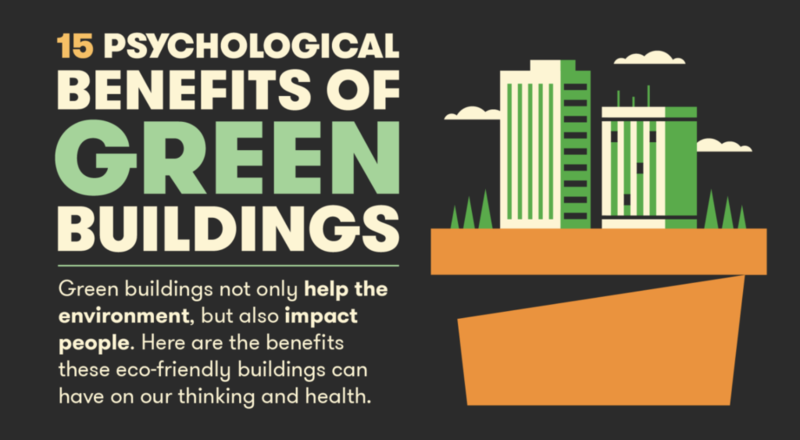 To show the impact green buildings can have on human beings, Big Rentz has created an infographic that highlights the psychological benefits of green buildings, which can be seen here at Big Rentz and below.